A drone reportedly came within metres of a Virgin Australia Boeing 737 approaching Brisbane Airport in the latest scare involving the ubiquitous remotely piloted aircraft. “The flight crew from VA329 visually saw a drone on approach into Brisbane Airport on Saturday,’’ a Virgin spokeswoman said. The Civil Aviation Safety Authority, which has responsibility for policing regulations on Remotely Piloted Aircraft Systems, was also aware of the incident and appealed to anybody with information to come forward. “Where we get evidence of a breach of the rules, or a potential breach of the rules, we do investigate and where breaches are proven, we issue penalties,’’ CASA spokesman Peter Gibson said. “We issued about 60 fines last calendar year. “The challenge, of course, is identifying who is flying the drone and we don’t have evidence of that at this point. 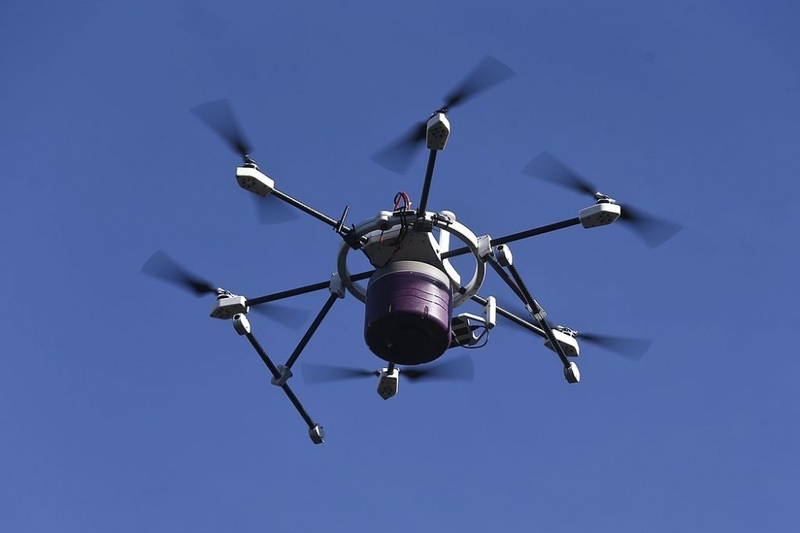 Drones flying near airports have been a long-standing issue that gained international prominence in late 2018 after series of drone sighting closed down London’s Gatwick Airport in the run-up to Christmas. READ: Damaged drones ruled out of Gatwick inquiry. CASA is running a project to determine how many drones are operated near capital city airports ahead of rule changes in Australia later this year that will require all drones above 250 grams to be registered. While the project is initially being used to collect data only, Gibson the technology was highly likely to be used in the future for enforcement purposes and the kind of incident involving the Virgin plane. The start of the data gathering project was delayed while a stand-alone server was set up to store data because of concerns it was being collected by Chinese technology produced by global drone giant DJI. A 2017 report by the US Immigration and Customs Enforcement Agency said it had moderate confidence DJI was providing US critical infrastructure and law enforcement data to the Chinese government. The report said DJI automatically uploaded information gleaned from Android smartphone apps into cloud storage systems located in Taiwan, China, and Hong Kong “to which the Chinese government most likely has access”. According to CASA, the implemented changes mean the data will go directly to the stand-alone server and bypass DJI.